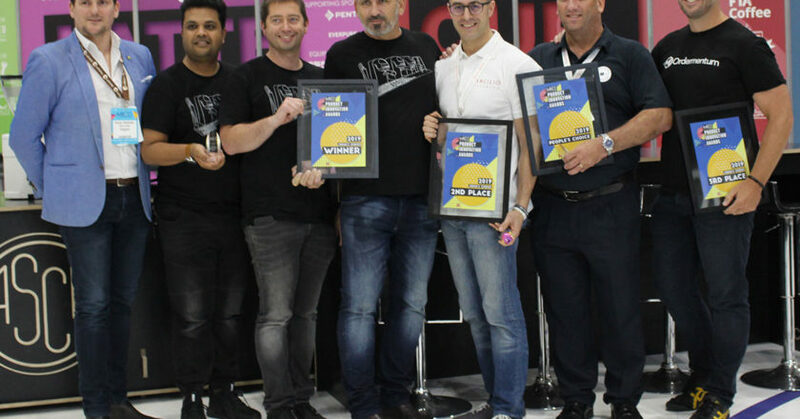 BrewBar’s Energy Bar system has won Judge’s Choice in the Product Innovation Awards, held at the 2019 Melbourne International Coffee Expo (MICE). Energy Bar is a software managed system that regulates the output of electricity as required by a coffee machine. It allows electrical equipment with significant electricity requirements to operate from a 240v 10-amp supply. The unit can also be built to run some equipment for three to five hours with no additional power supply. “Energy Bar opens up the opportunity for mobile units to be run in almost any location,” The BrewBar Director Brett McKinnon says. Rancilio placed second for the Rancilio Specialty RS1. Developed by and for the specialty market, the RS1 aims to challenge and progress the industry by innovating the extraction process that Rancilio says has remained more or less unchanged in 100 years. Rancilio says patented temperature profiling and stability delivers access to flavour that has simply never been seen before. Developed by a global team of World Barista Champions, every component has been optimised to improve workflow for the barista and maximise the customer interaction. Ordermentum received third place in the awards for Ordermentum’s Business Insights for Coffee Roasters. Ordermentum’s Business Insights for Coffee Roasters was built to help coffee roasters see and understand their business data – enabling them to trade smarter. This business intelligence tool empowers coffee roasters by converting their live transaction data into insights. These insights unlock changes in customer trading behaviour, calculate profitability by product and customer, show product trends and overall customer buying behaviour. United Supplies won the People’s Choice category for its Milkit Dual Milk Tap system, which allows two milk varieties to be dispensed from two taps in unison. Once connected and utilising two 10-litre milk bladders, milk can be dispensed in pre-set half or full jug volumes or through manual settings. “We’re truly honoured to have been recognised by our industry peers by winning the award, and being a part of MICE2019,” says Nicole Saleh, Marketing Director for United Supplies.